Update 5: Israeli warplanes are now carrying out a second wave of airstrikes on positions around Damascus. 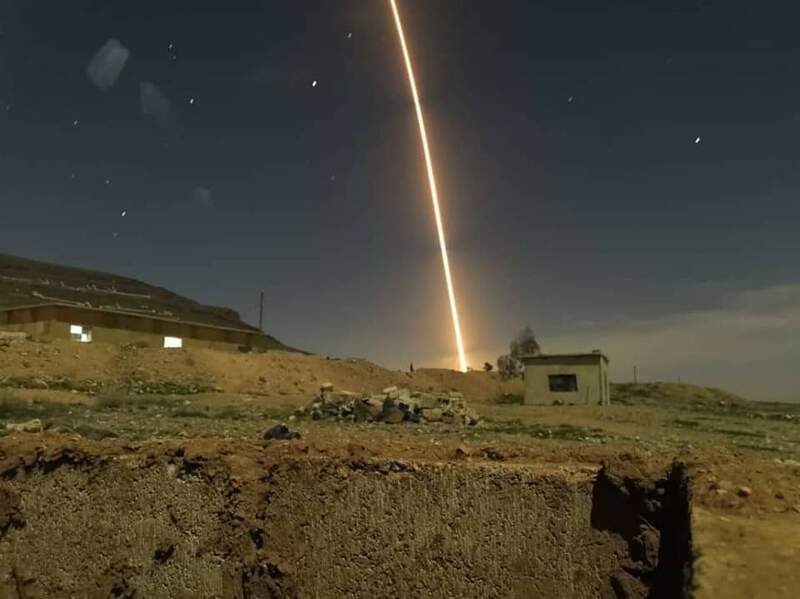 Update7: Israeli Air Defenses are now intercepting Syrian rockets over occupied Golan Heights, according to several sources. Update8: Israeli airstrikes killed two Syrian soldiers and injured many others, according to local sources. The SAA also suffered from loses in equipment. Interesting isn't it. The Israelis are going after the Quds Force and I have no problem at all with that. Furthermore they've taken off the gloves and went after Air Defense Sites. They must have some good info...cause I don't think they would go after Russian manned installations. Remember me calling this a regional war? I think that's spot on. ISIS is just a proxy. This is about something else AND Iranian influence. Assad will most likely survive and he's being deeper into the arms of Iran and Russia. You can bet these losses will be replaced and you can bet that whatever the Russians want (maybe sole ownership of that port) you better believe Assad will give it to them.